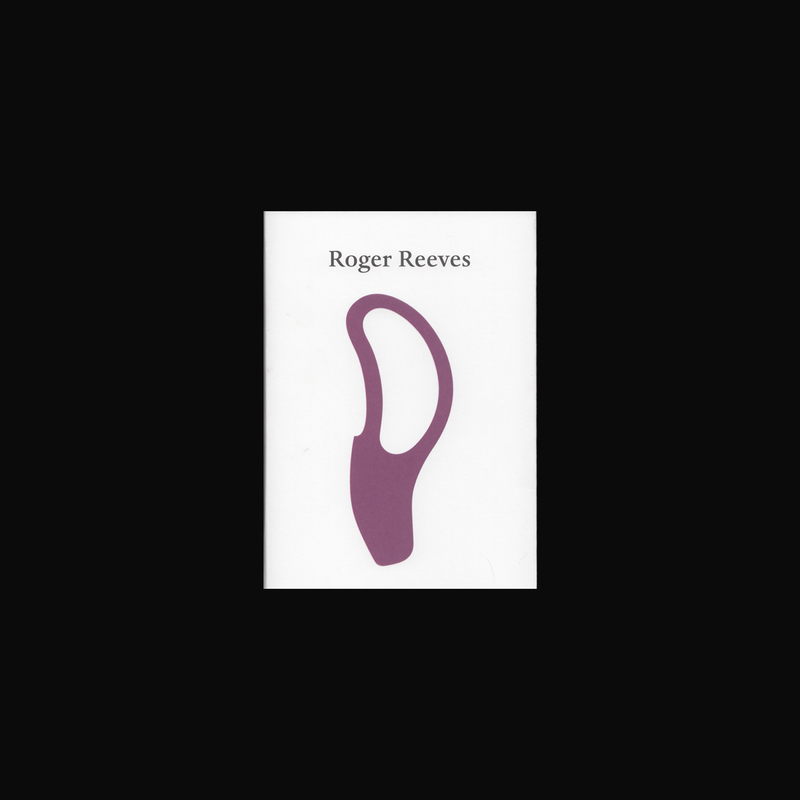 Roger Reeves’ work has appeared in Poetry, Ploughshares, American Poetry Review, Boston Review, Gulf Coast, Tin House, and The Paris American. His debut collection of poetry, King Me, was published in 2013 by Copper Canyon Press and was honored as a Library Journal “Best Poetry Book of 2013”. 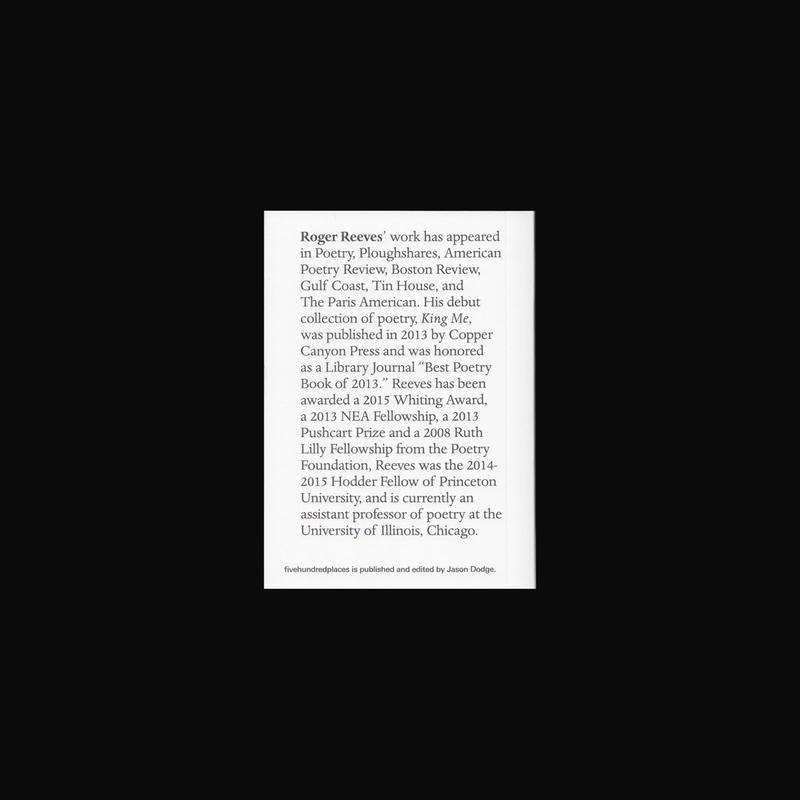 Reeves has been awarded a 2015 Whiting Award, a 2013 NEA Fellowship, a 2013 Pushcart Prize and a 2008 Ruth Lilly Fellowship from the Poetry Foundation, Reeves was the 2014-2015 Hodder Fellow of Princeton University, and is currently an assistant professor of poetry at the University of Illinois, Chicago. 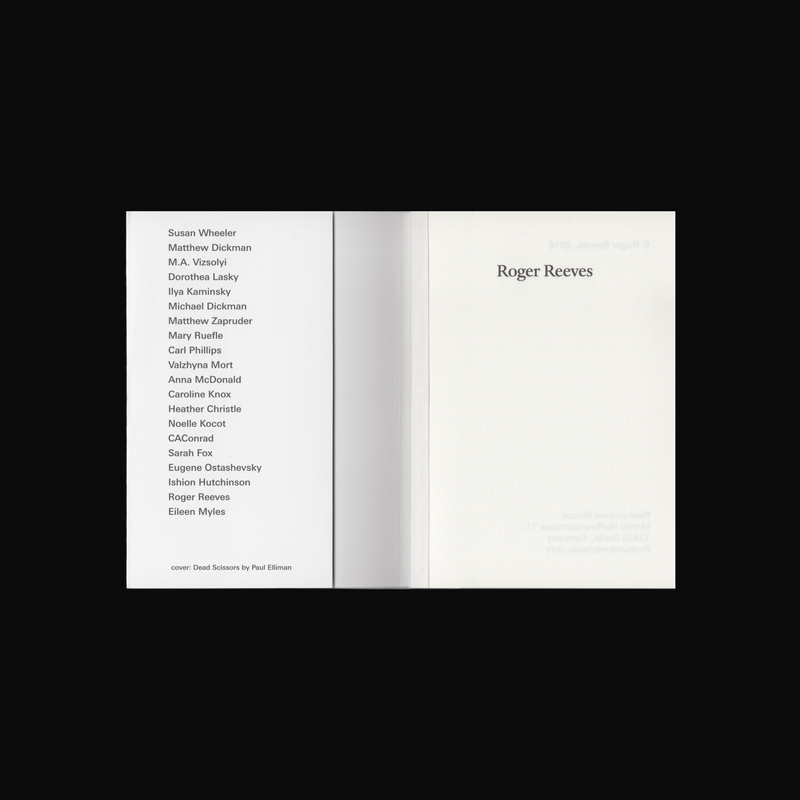 Published by Fivehundred places, founded in 2012 by Jason Dodge. 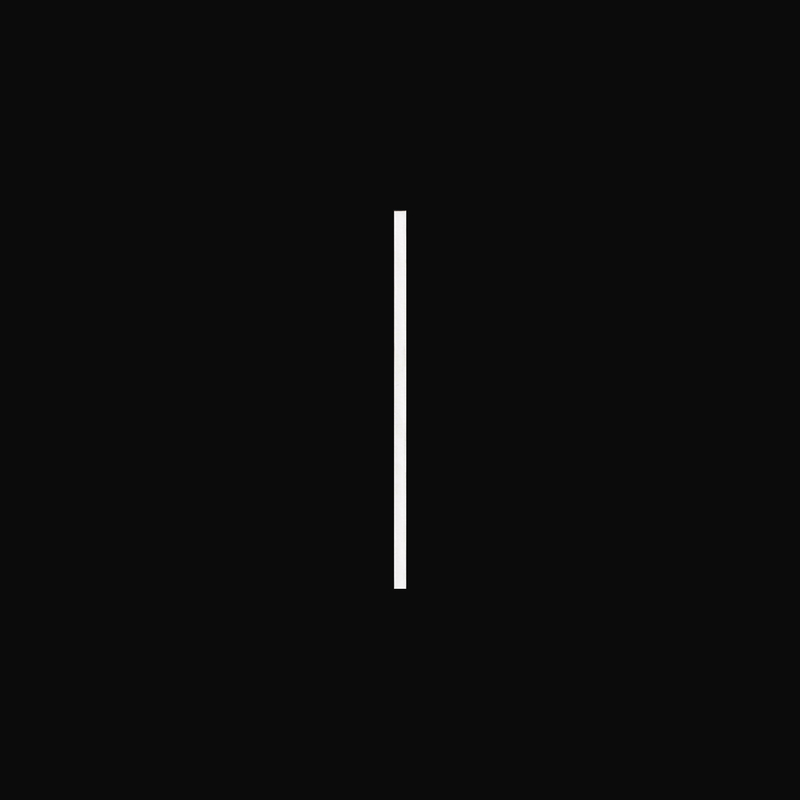 On the cover of each book is a dead scissor by Paul Elliman.